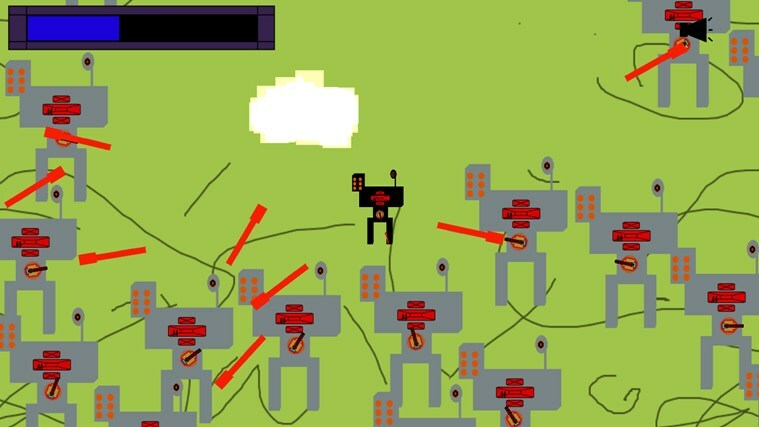 This is a project I made around 2012, when I discovered Construct 2 and attempted to make something weird and cool with it. This was originally published on the Windows 8 App store, but over the years something in it was made non-compliant and taken down. For many long years, the kingdom has been ruled by the vile, colorless Greys. A mysterious race of giant imposing battle mechs, each one the size of a 3-story-building. For generations your people have suffered under these giants and over time learned how to build a mech of their own. Many lives have been sacrificed to build a small, but powerful, prototype. The time has finally come to strike back, with you in control of the first mech to attack. The night before the rebellion, you have a strange dream: A voice speaks out across the space-time continuum and begs you not to use violence against the Greys, to seek the path of peace. The only advice the voice offers is "Boogie down, man!" You wake up scared and confused, those last three words echoing in your head. You slowly fall back asleep, but not all the way, a slow rhythmic beat starting to pound your head. The morning of the attack, you head straight for your mech, telling no one of your vision. 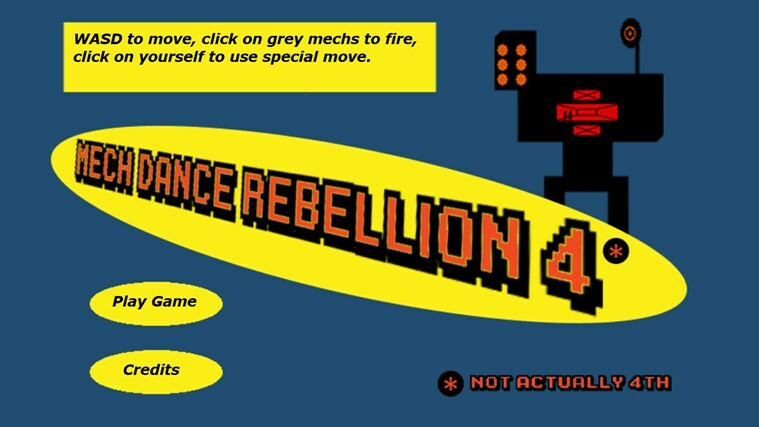 Your soldiers pile into the fearsome mech with you at the controls. The beat is strong now, making you feel uneasy, but bouncy. You remember the suffering your people have been through under the Greys. You tensely think of the battle to come and the choices you'll have to make.